Limited edition 4 CD box set compilation. 36 page booklet featuring pix, plus sleevenotes by John Lydon. 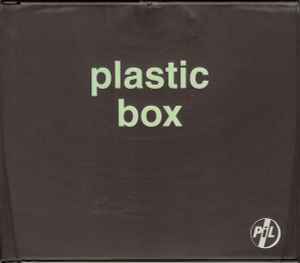 Housed in an old style double CD case, enclosed in a PVC slip case. The mix of "This Is Not A Love Song" appears to be unique to the release. It's not the 'Remixed Version' from the 1983 12" single/1988 CD single. It can best be described as a dub of the album version - minimal vocals, with heavy emphasis on the horns, and added saxophone. I would point out that the "Body" 12" mix here is different from the one on the "Seattle" 12" (which clocks in at just over 5 minutes). They're both mixed by Eric E.T. Thorngren. Further investigation would show THIS 12" mix is actually the US 7" mix as featured on the US 7" for "The Body"